This Safco Wire Mobile File is extremely functional and versatile storage unit with a contemporary look and a tough build. 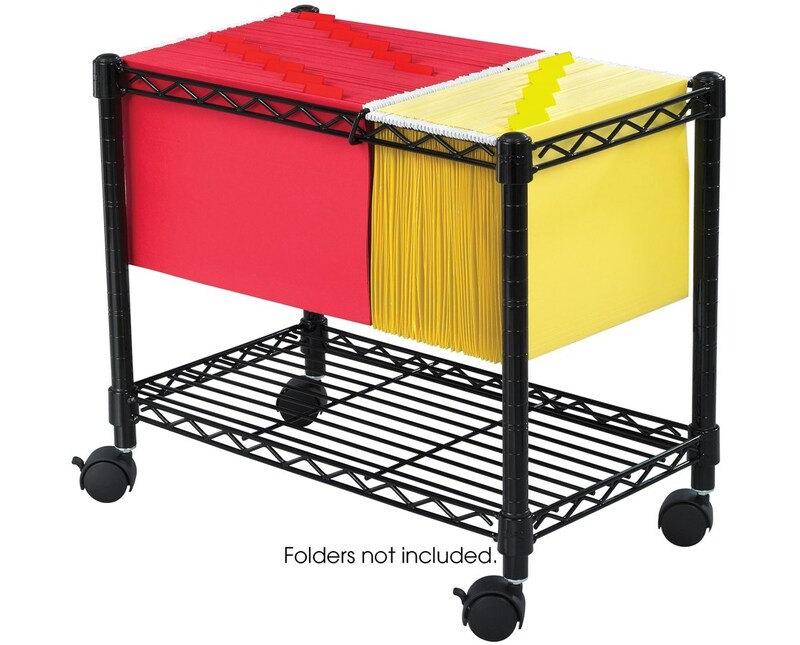 It is designed to accommodate letter or legal-size hanging folders and to hold an overall weight of 300 pounds. It features a steel wire bottom shelf that has a weight capacity of 100 pounds. 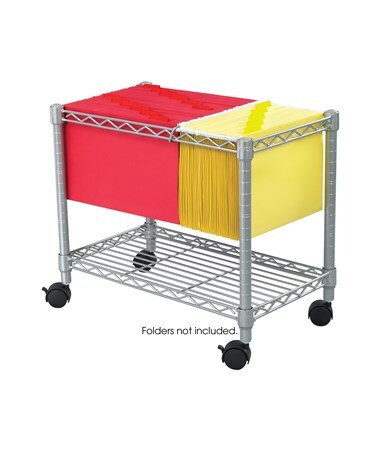 This document storage is mobile on four two-inch swivel casters and two of these casters can be locked to keep the unit stationary. It is made of 16-gauge steel and steel wire with a powder coat finish and is compact enough to easily slide under most work surfaces. It is also GREENGUARD certified and NSF listed for public health and safety standards. 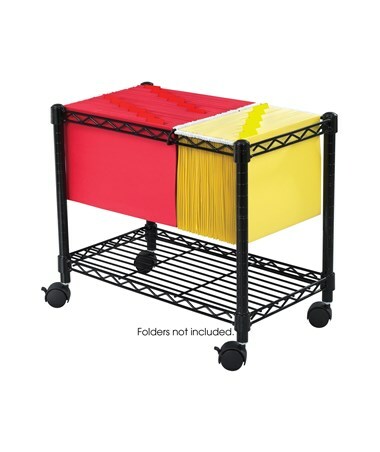 The Safco Wire Mobile File is available in two different colors. Please select your preference from the drop-down menu above.